Press Conference in Kuala Lumpur on 20.10.2003 announcing the Third Murukan Conference. There were plenty of VIPs at the Third Murukan Conference. 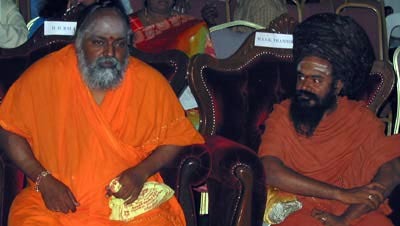 VIPs at the Third Murukan Conference included Bala Yogi Swamiji (left) and Thambiran Swamigal (right). 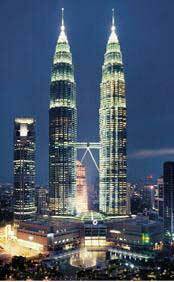 The Third International Conference Seminar on Murukan-Skanda was held in Malaysia at Kuala Lumpur from November 2-5, 2003. 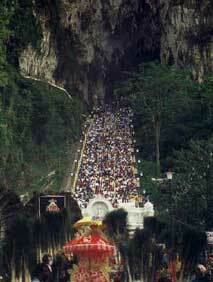 Scholars and devotees from nine countries around the world attended the conference as delegates. The main objective of the conference was to focus attention on the Murukan cult prevailing in Malaysia and Singapore and the island countries of Indian Ocean such as Mauritius, Reunion, Madagasgar, Fiji, etc. as well as South Africa. Emphasis was given to explore the similarities and differences in the Murukan-cult prevailing among the devotees of these countries with particular reference to their literary, oral and performative traditions. Special characteristics of each region were studied with wider perspective. The conference also threw light on the important Murukan shrines found in this part of the world. A souvenir to commemorate the Conference-Seminar was released on the occasion. Also arrangements were made to conduct a number of academic sessions to present research papers by delegates on various themes on Murukan-Skanda cult. Delegates from all over the world participated and presented research papers on the cult of Murukan. The host country provided accommodation, meals, etc. during the conference days and arranged a post-conference tour as well for a nominal registration fee of US$ 100 only. The delegates themselves were expected to make their own travel arrangements to attend the conference-seminar. An International Organising Committee consisting of the scholars of international repute, religious leaders, leading industrialists, honorable ministers and reputed leaders from Malaysia functioned for the efficient conduct of the conference.  Originated as a regional cult, Murukan worship gradually developed into a national cult and at present has blossomed forth into an international one. One aim of the conference was to disseminate the knowledge gained by mutual dialogue and free exchange of thoughts on Murukan cult for the benefit of humanity at large.